Learn to understand bitcoins in this course. What are the advantages and disadvantages? Here you will learn how to trade bitcoins. Bitcoins have been on everyone's lips for years, but what are bitcoins exactly and what do you have to look out for when you want to trade them? All this and much more, you will learn in this interesting course. The course will be supplemented by a lesson, in which bitcoins refutes 'the state theory of money'. Bitcoins: More than just a worldwide decentralized payment system? 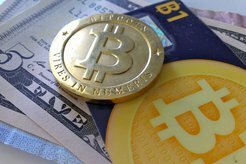 Bitcoins remain a issue of dispute among traders, and especially economists, as they are decentralized and are not subject to any state control. It is not surprising that the volatility is extreme. This course is very basic and scratches only on the surface of the subject.